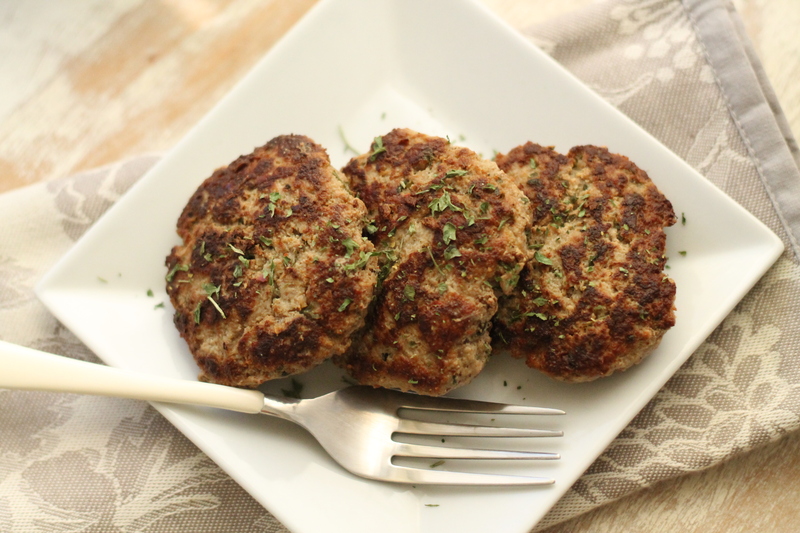 Store bought turkey sausage is often highly processed, full of nitrates, and other chemicals. And the good stuff tends to be a little pricey. So, why not make homemade sausage? 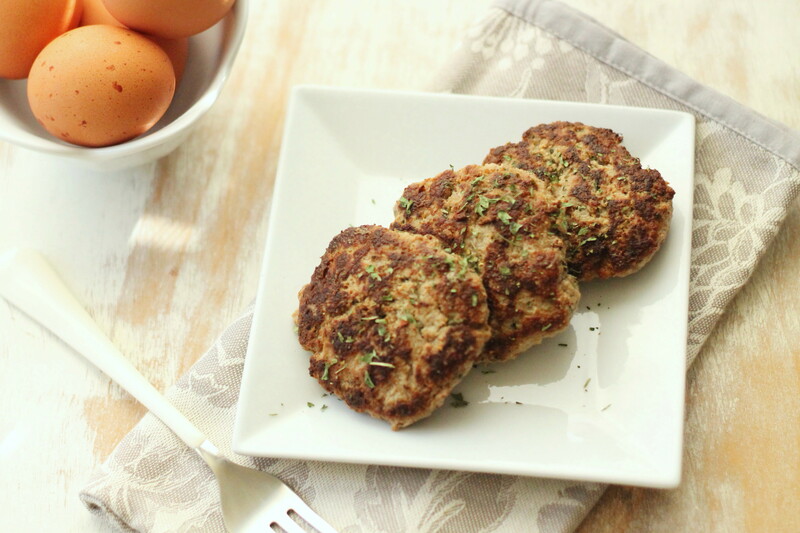 Enjoy these savory patties with eggs or my Mini Greek Frittatas at breakfast, lunch or dinner. 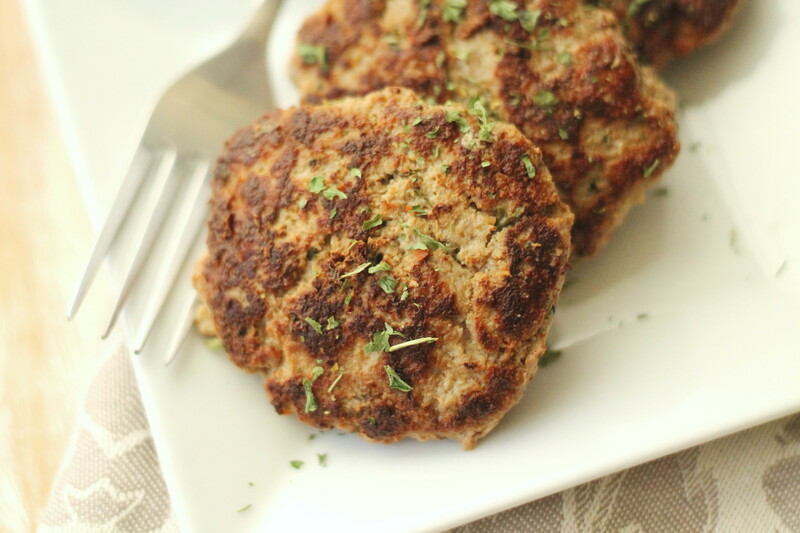 Crumble patties, and add to other dishes like spaghetti sauce or soup. Make up a batch or two, and store in the fridge or freezer to conveniently reheat. A flavorful mix of seasonings, unsweetened applesauce and olive oil create a juicy, healthy side dish. 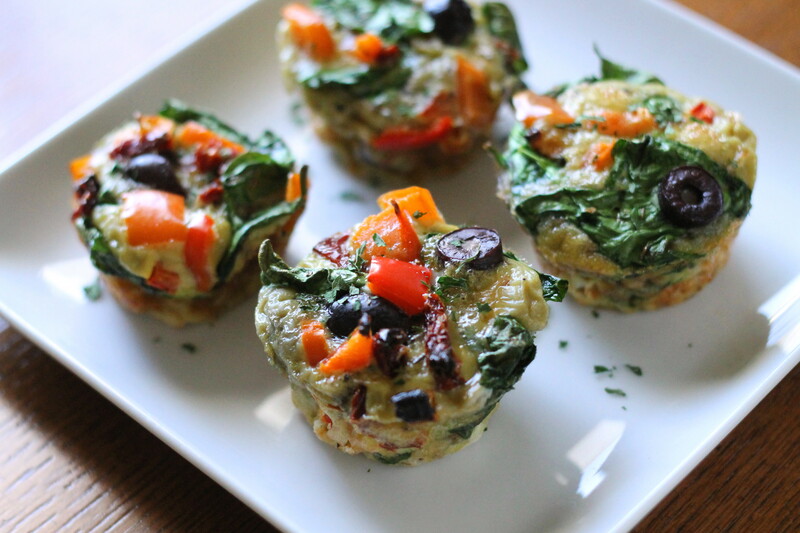 An easy and delicious way to add lean protein to any meal. 1. In a large bowl mix together first 9 ingredients with a fork. Add ground turkey and mix just until spices are incorporated (careful not to over mix or meat will become tough). 2. 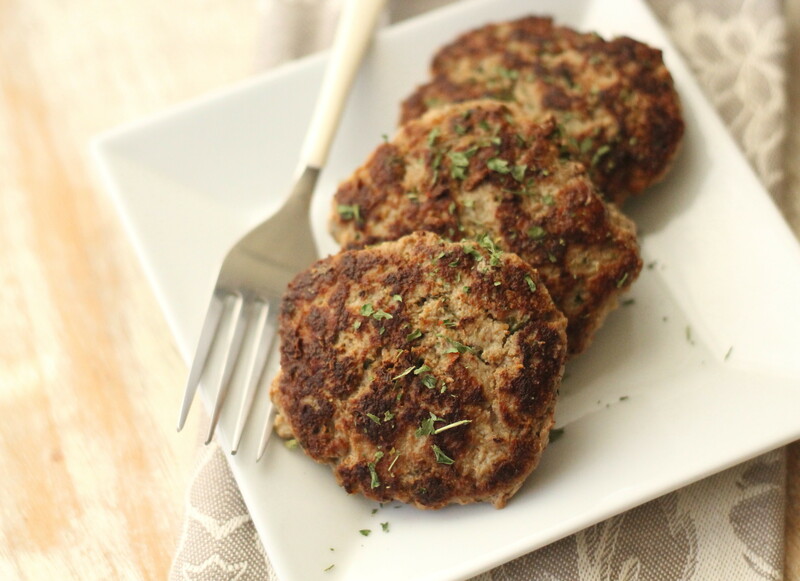 Form turkey mixture into 12 patties (about 1/4 cup turkey in each) and cook in a large skillet over medium-high heat with a little cold pressed grapeseed oil. Makes 12 small patties. May cool and store in refrigerator or freezer to reheat for later use. I’m on a smoothie binge and it’s fall. So, that funneled my efforts into this deliciously creamy, yet healthy treat. 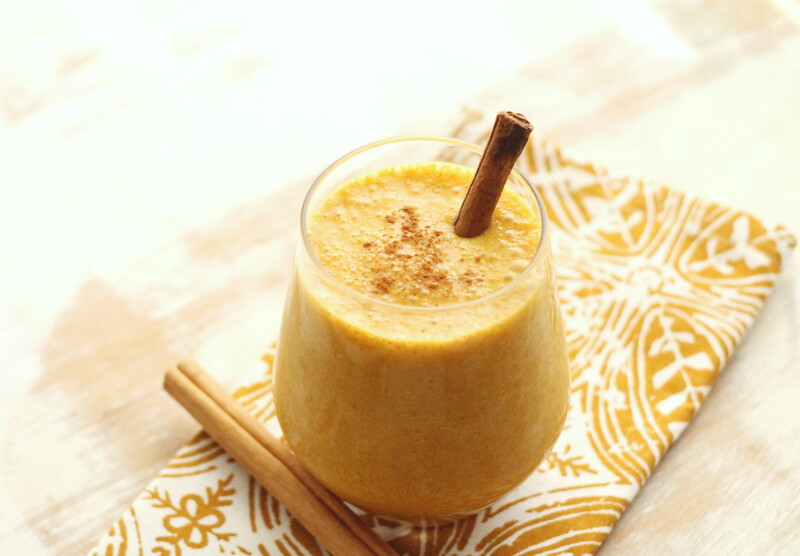 Pumpkin is rich in vitamin A, antioxidants, fiber and minerals like potassium. 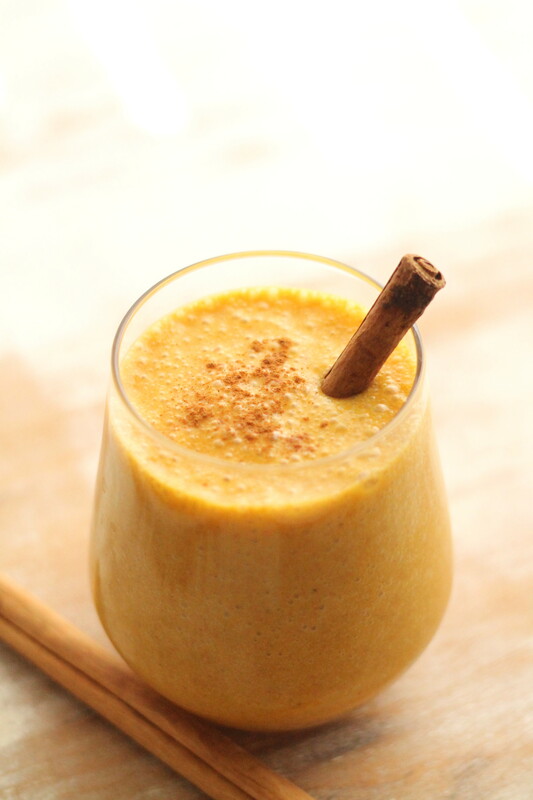 It also creates a velvety textured smoothie. 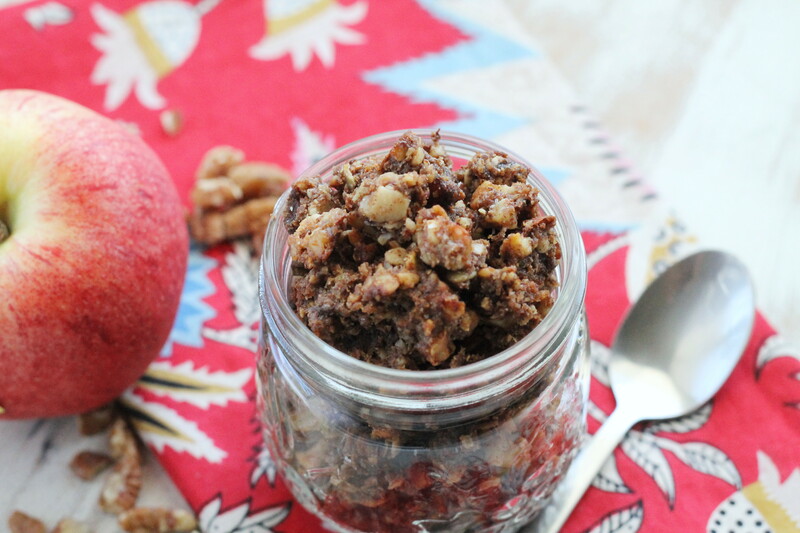 A scrumptious fall breakfast or snack, and easy use for remaining pumpkin in your fridge. Add a nutrition boost. I supplemented a scoop of vanilla protein powder to mine this morning. The added protein keeps you fuller longer and helps sustain blood sugar levels. Feel free to toss in some dark chocolate chips, raw cacao nibs or ground flax seed too. I used Vanilla Creme Liquid Stevia to sweeten, but feel free to use regular Stevia, 100% pure maple syrup, honey or healthy sweetener of choice to desired taste. On a side note, today is the 3rd anniversary of my blog. So, a big thank you to all of you for joining me on this journey. I hope my blog continues to be a source of motivation and an equipping tool for you and your family to enjoy and maintain a healthy, vibrant life. Add all ingredients to a blender with ice (if desired for a thicker consistency) and blend until smooth. Serve topped with a sprinkle of cinnamon, nutmeg, cinnamon stick or pumpkin seeds. Nutrition Boost Add-Ins: 1 scoop vanilla protein powder, dark chocolate chips, raw cacao nibs, ground flaxseed or 1/2 banana. 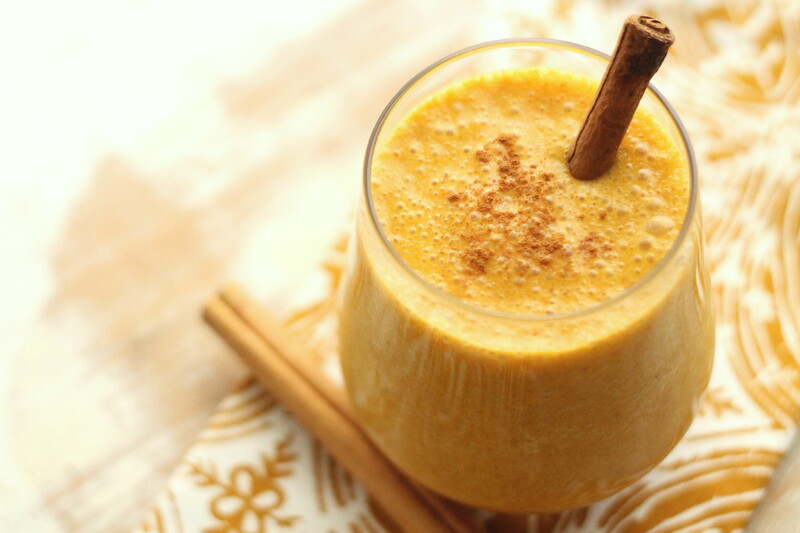 Protein shakes are a quick, easy and healthy on-the-go breakfast or lunch. Adding spinach increases the nutrition value without even tasting the greens. My husband comments his dreams have come true that we can make vegetables taste like a strawberry. A great way to get vegetables into kids or husbands. I use a brown rice or pea based protein powders. Choose one with a low sugar content or made with Stevia. Growing Naturals and Vega One are a couple good brands that come in chocolate, vanilla and berry flavors. 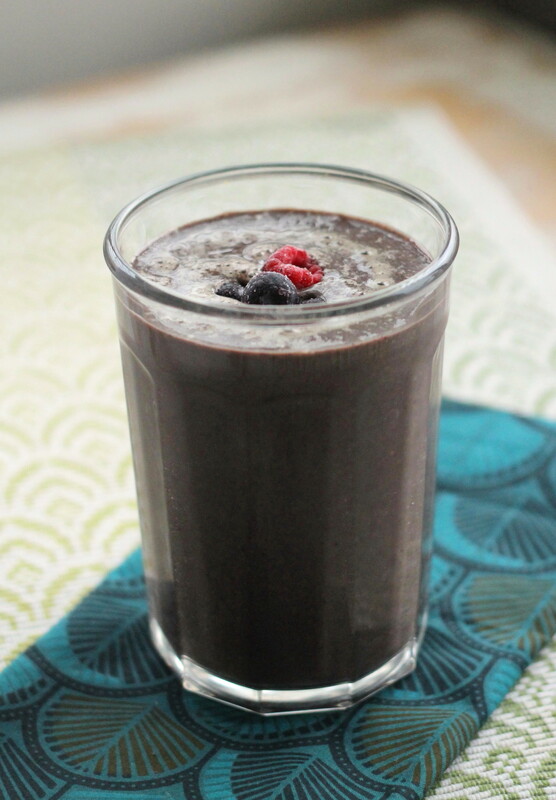 Substitute peanut or almond butter and 100% cocoa powder for the berries and you’ve got an excellent candy-like shake. 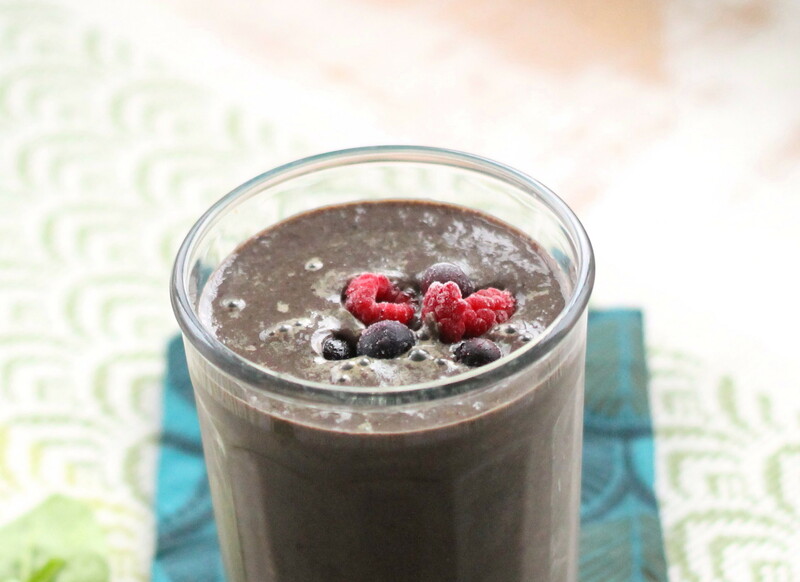 Frozen berries create a thick, creamy icy cold shake. 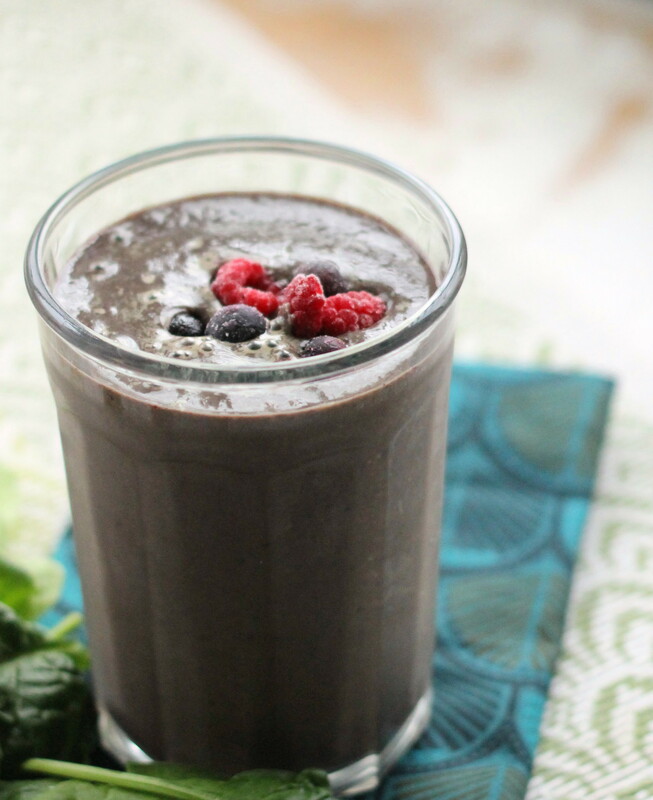 Feel free to add other greens (like dandelion, kale, swiss chard) or fruits to switch up your blended treat. Put all ingredients into a blender, liquids first. Add drops of Stevia or raw honey if more sweetness is desired. Blend until smooth. 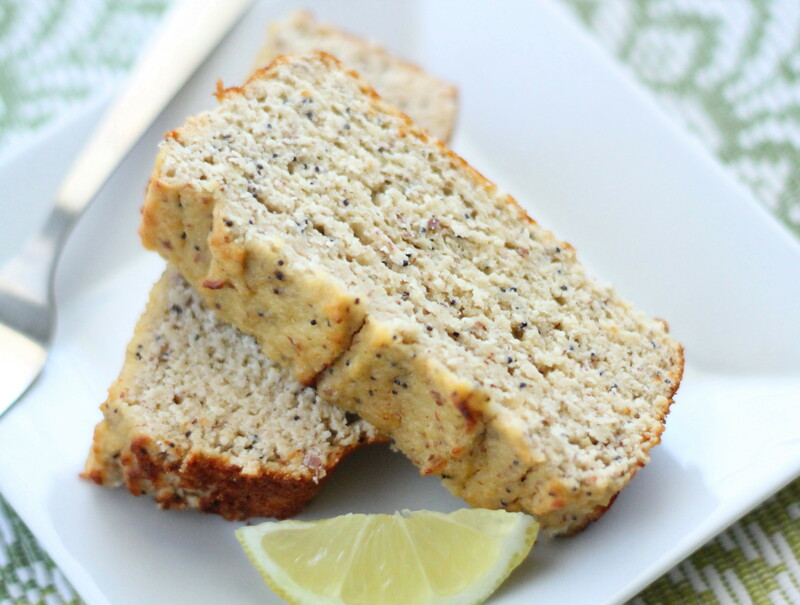 Add almond butter, chia seeds or ground flaxseed for an extra boost of healthy fat & fiber! Plump, ripe blueberries and sweet juicy peaches are one of my favorite fruit combinations. 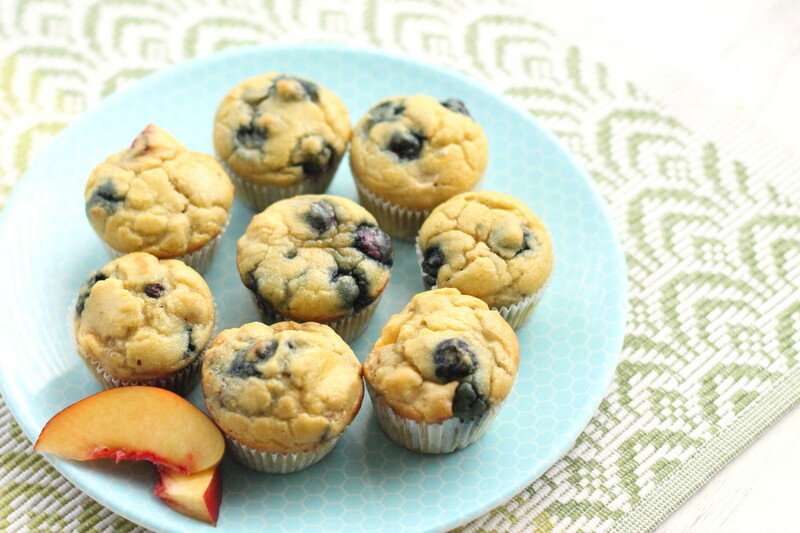 Bake them into a bite size muffin and you’ve got the perfect snack or addition to eggs at breakfast. Head down to your local farmer’s market or produce aisle this morning to pick up the star ingredients for this recipe. Coconut and almond flours work great for grain free baked goods. I stuck with just coconut flour here to make these super easy and quick to whip up. Baking tip: whisk coconut flour into the batter to incorporate well (then you won’t have “pockets” of flour in your finished product). If you have kids, grandkids, nieces or nephews involve them. Little people love putting paper muffin liners (especially mini ones) into the pan. Have them help you whisk or add ingredients into a large bowl. A delicious 60-calorie summery pastry! 1. Preheat oven to 350 degrees. Line 24 mini, or 12 regular muffin tin cups with paper liners. 2. Whisk eggs, oil, almond extract, Stevia (or sweetener of choice) and cinnamon in a large bowl. Whisk in coconut flour, baking soda and powder until batter is smooth. 3. 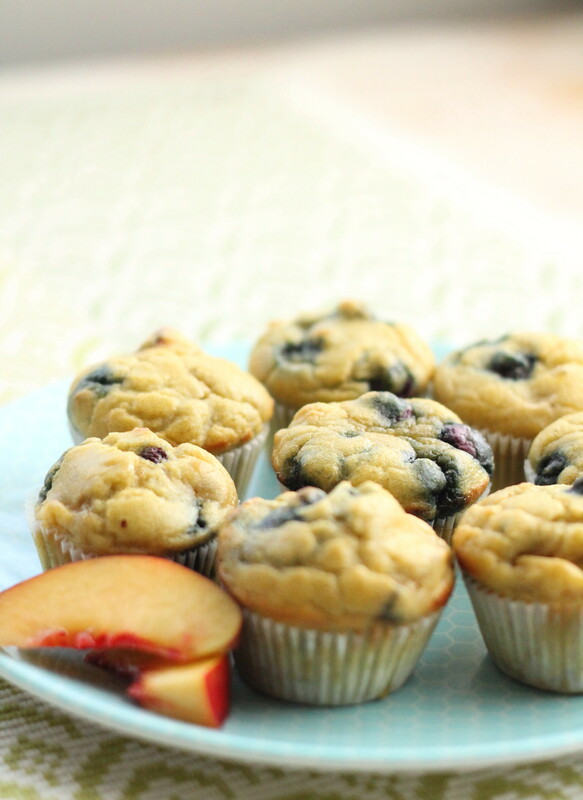 Fold chopped peaches and blueberries gently into batter just until incorporated. Pour even amounts of mixture into 24 or 12 prepared muffin cups. Bake for 10-12 minutes or until toothpick inserted comes out clean and muffins are set in the middle. 4. Remove from oven and let cool in pan for 5 minutes, take out of pan and finish cooling on a baking rack. Cover tightly and refrigerate or freeze. Makes 24 mini or 12 regular size muffins. VARIATIONS: Use raspberries or other fruit if desired. Exercise Finder – click on the body part you want to work and the exercise finder will list several toning moves. Here is the link: http://www.divine.ca/en/health/exercise-finder/c_266/. Eating protein in the AM sets the tone for the remainder of the day. I can’t stress enough the importance of enjoying breakfast within 1 hour of waking. The first meal revs up your metabolism, communicating to your body it’s time to start burning calories and fat for fuel. Not eating breakfast sends our bodies into fat storing mode and the imbalance makes us feel sluggish and starving beyond 2-3pm. Most Americans are hungry, because even though eating we are starving for nutrients. McDonald’s hamburger, fries and coke send very different messages to our bodies than a meal of grilled fish, roasted vegetables, quinoa and water. 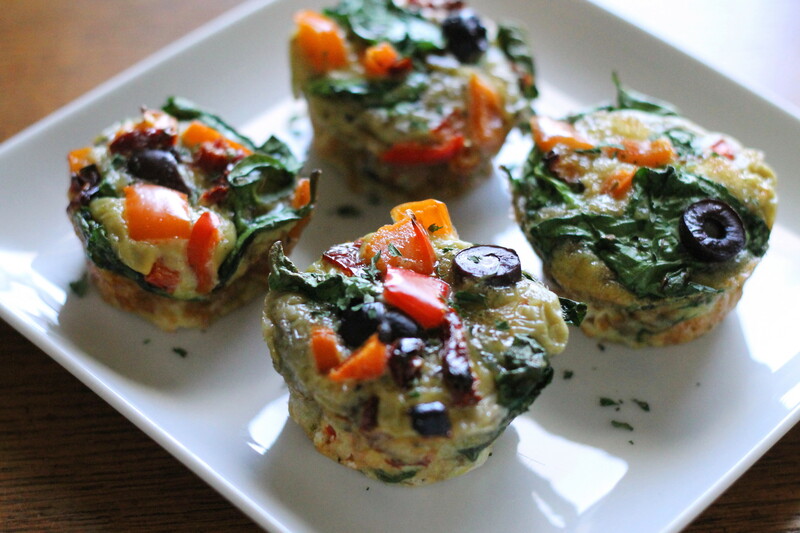 Nourishing our bodies with nutrient dense foods, like these tasty Mini Greek Frittatas, keep us satisfied and alert for the daily tasks that come our way. Try serving with my Sweet Potato Hash and fresh berries for a complete breakfast, lunch or dinner. Each day we have the great opportunity to choose foods that give us life, energy and enjoyment. Also, an easy, healthy recipe for showers or brunch gatherings! 1. 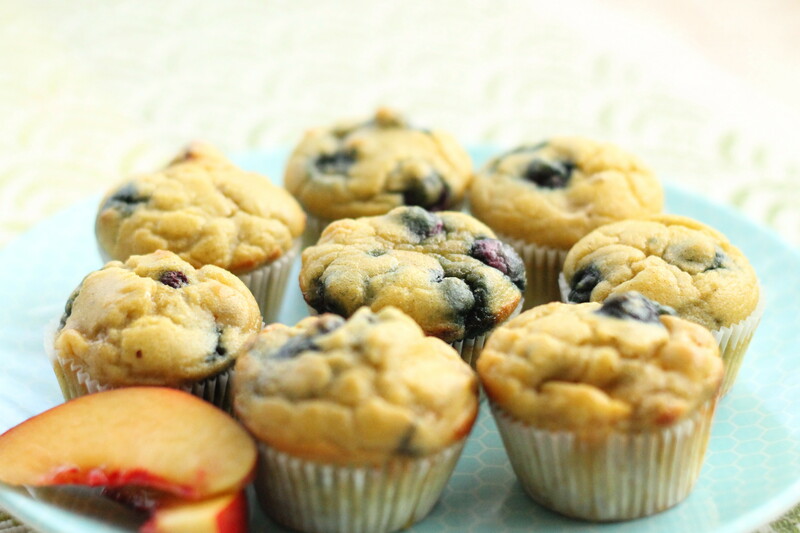 Preheat oven to 350 degrees F. Spray or grease 12 – regular size muffin tin cups. 2. Whisk eggs, water, olive oil, garlic, Italian seasoning, salt and pepper together in a large bowl. Fold in spinach, olives, tomatoes and red or green pepper with a spatula. Scoop even amounts of mixture into each prepared muffin tin. 3. Bake for 12-15 minutes, or until egg cups are almost set (slightly liquid center). Let set a few minutes and serve immediately, or store in an airtight container in the freezer or refrigerator. 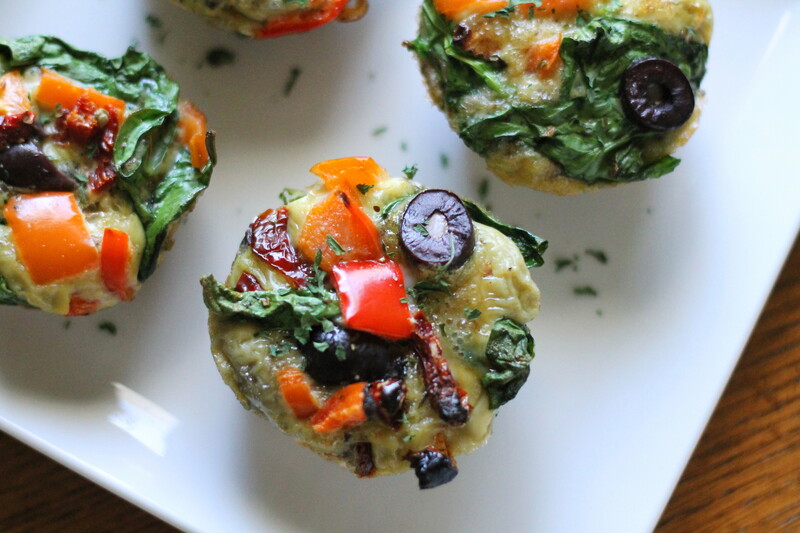 Serving size, 2 mini frittatas. VARIATIONS: Add or substitute any favorite vegetables like chopped tomatoes, finely chopped broccoli, mushrooms or kale. 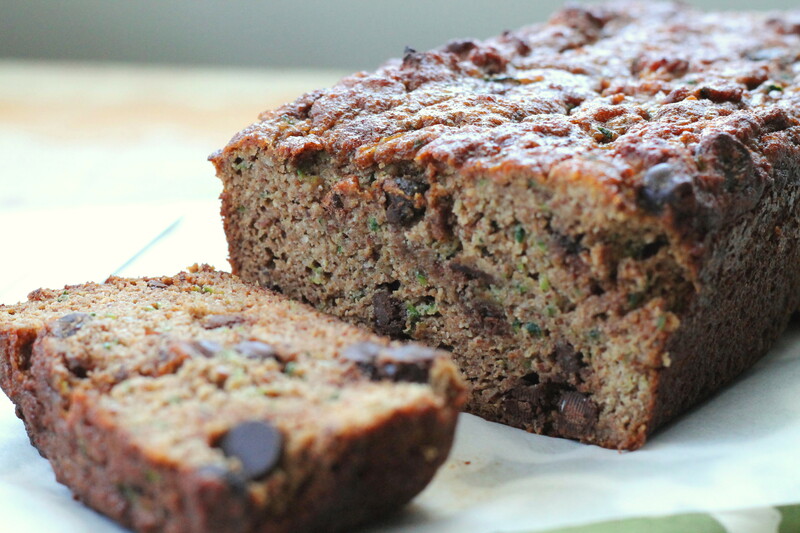 A spectacular way to get kids and adults to eat vegetables is to bake with them. Folding in fresh grated zucchini boosts nutrients, moisture and flavor in this easily made baked good. 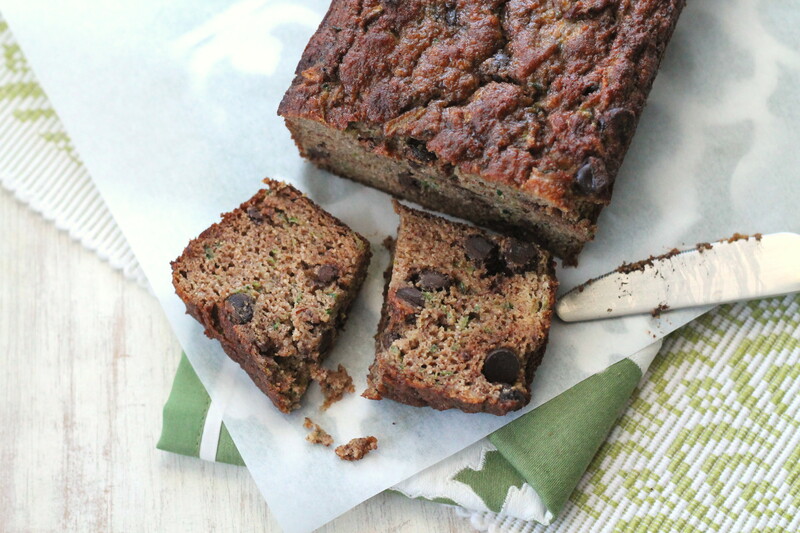 It’s almost automatic for me to toss dark chocolate chips in zucchini or pumpkin bread, but feel free to substitute raisins for a lower calorie breakfast or snack. The combination of almond and coconut flours are simply delightful. Naturally lower carb and gluten free, allergen free eater or not you’ll love this delicious Spring treat. *Gluten & dairy free option: Use GF & DF dark chocolate chips. 1. Preheat oven to 350 degrees F. Spray or grease a 9 x 5″ loaf pan with cooking spray or coconut oil. 2. Whisk together eggs, applesauce, vanilla, honey, spices, flours, baking powder and baking soda. 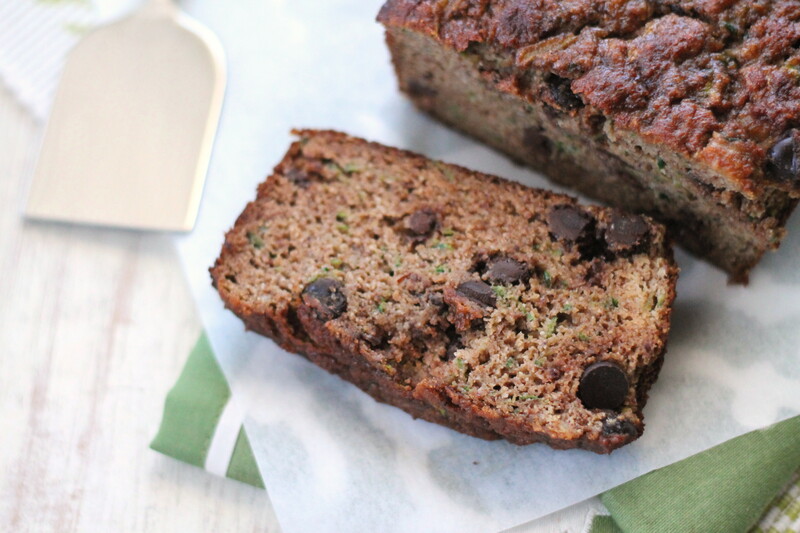 Fold in grated zucchini and chocolate chips (if using) with a spatula. 3. Pour batter into prepared baking dish and bake for 45-50 minutes. Slice into 8 pieces. Serving size one piece. Recipe adapted from Just Eat Real Food blog. I am a firm believer, and have said it many times, that healthy food can taste good. 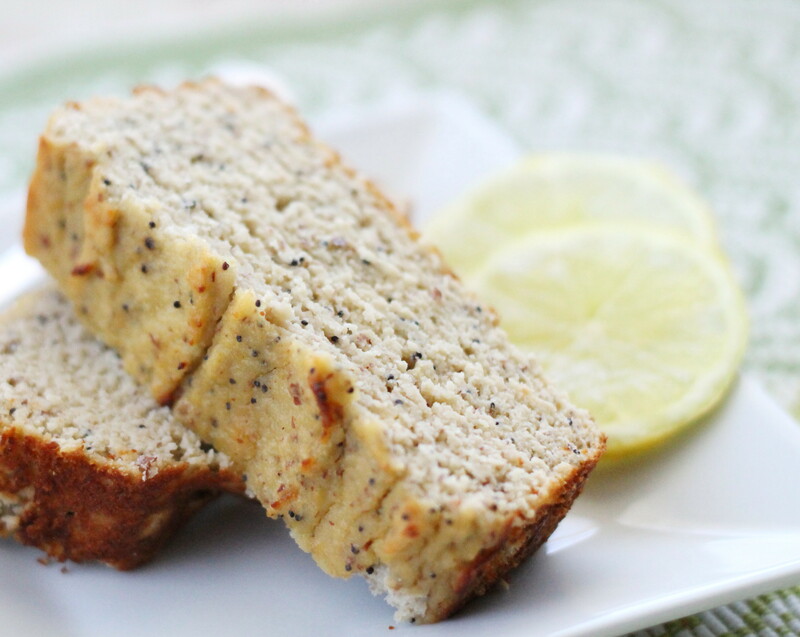 And my simple, one-bowl Lemon Poppy Seed Bread is proof. I love the comment after a taste test or meal, “I can’t believe that is good for me!” With bright, fresh lemon this makes a wonderful weekend Spring brunch addition, any day snack, or dessert for your table. Try serving with a Spring Vegetable Frittata. Unsweetened applesauce is an easy substitution for typically highly refined, large doses of oil found in baked goods. Almond and coconut flours are not only grain free, but also helpful choices for people struggling with diabetes – used in this recipe one slice contains only 10g carbs and 4g natural sugar, when using Stevia to sweeten. Pure almond extract (or vanilla) add natural sweetness without loads of calories (please note the word pure, no imitation products). Often gluten free baking mixes, or pre-baked pastries are pumped with sugar. Regularly, sugar is the first or second ingredient listed on box nutrition labels. And ingredients are listed from the highest quantities used to the least. 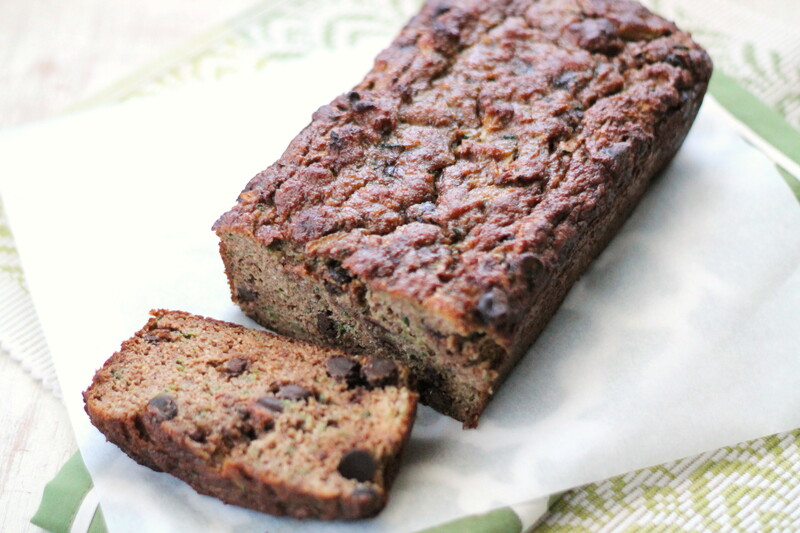 Friends and family will never know this moist, flavorful bread is healthy and grain free. So delicious, I just had three slices this morning with a steamy mug of coffee, and I’m resisting a fourth. 1. Preheat oven to 350 degrees F. Spray a 9 x 5″ loaf pan with coconut cooking oil or spray. 2. In a large bowl whisk eggs, applesauce, almond extract, Stevia (or sweetener of choice), lemon zest and juice. 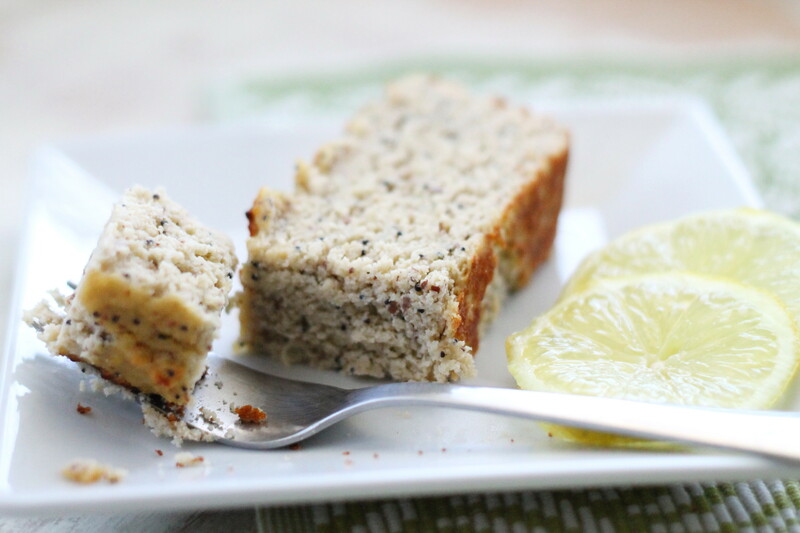 Mix in baking soda, powder, both flours and poppy seeds until well incorporated. 3. Pour batter into prepared pan and bake for 25-30 minutes, or until middle is set and top is golden brown. Let cool 10 minutes and remove from pan. Cut into 8 slices. Serving size, one slice. VARIATIONS: Sub orange juice and zest for lemon. 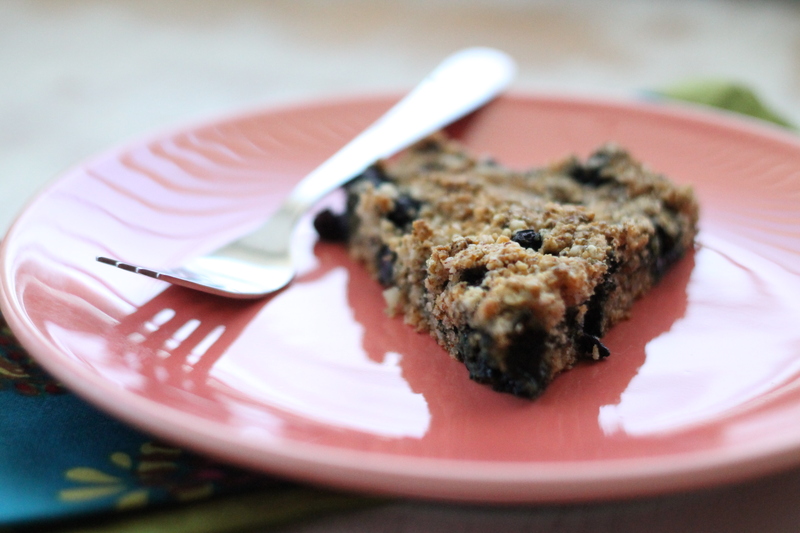 Add 1 cup frozen or fresh blueberries or raspberries to batter in place of poppy seeds. Absolutely my new go-to snack or dessert. 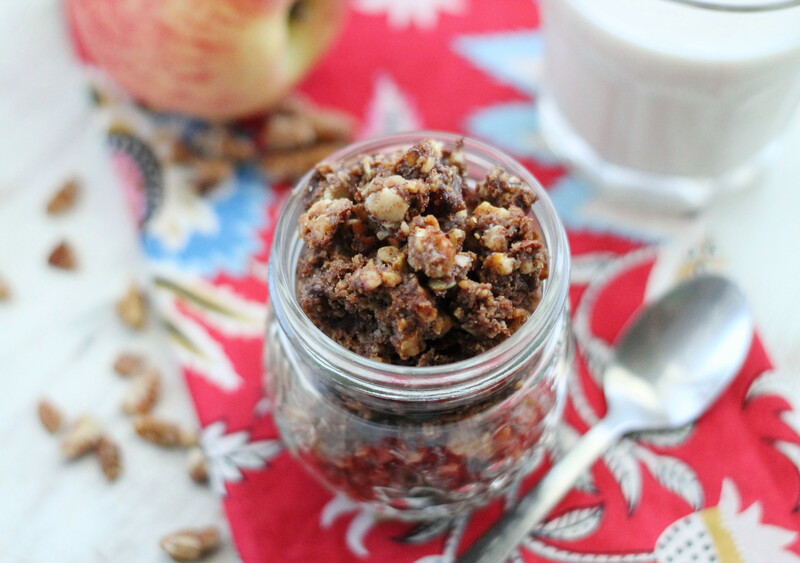 Simple to make, crunchy, flavorful and no refined sugar or grains. Make a signature cereal by adding other ingredients like raisins, unsweetened shredded coconut, pepita or sunflower seeds. 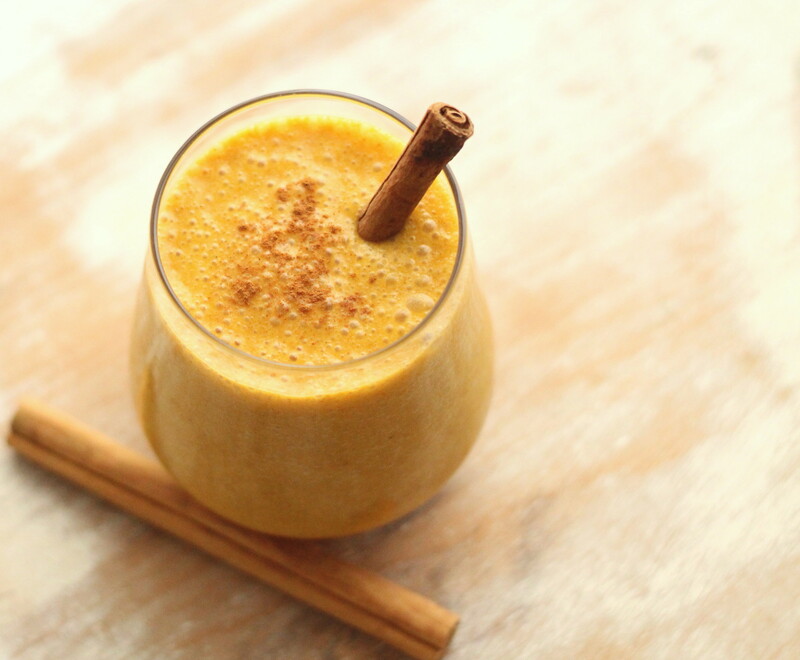 Play around with seasonings, like warm pumpkin spice. Unsweetened applesauce is a great substitute for oil when baking. 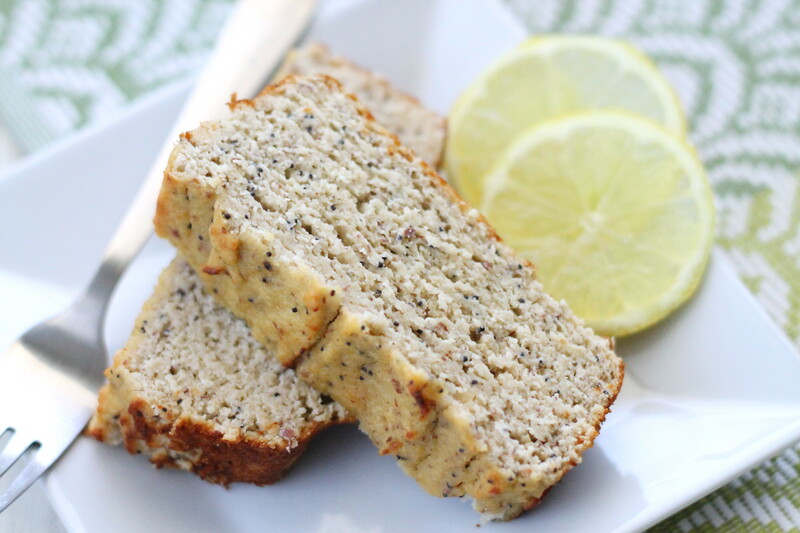 I buy it in bulk for granola and my deliciously moist lemon poppy seed bread (recipe coming soon). Allergen free or not, you’ll devour this one. Eat healthy- feel healthy! 1. Preheat oven to 325 degrees. Line a large rimmed baking sheet with parchment paper. 2. Combine nuts (I used cashew, walnut, pecan, hazelnut & almond mix), chopped dates, spices, flaxseed and salt in a food processor or blender. Pulse a few time until a crumbly mixture is formed. 3. Heat coconut oil, applesauce and maple syrup until melted slightly; whisk with vanilla extract until smooth. Add nut mixture and stir until well coated. 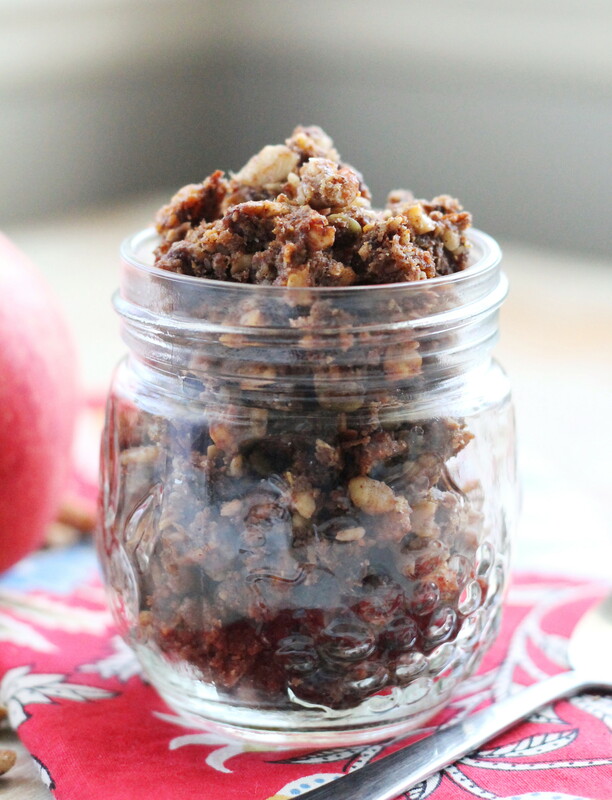 Pour granola in an even layer on the prepared baking sheet. Bake for 25-30 minutes or until golden brown, turn every 8-10 minutes. 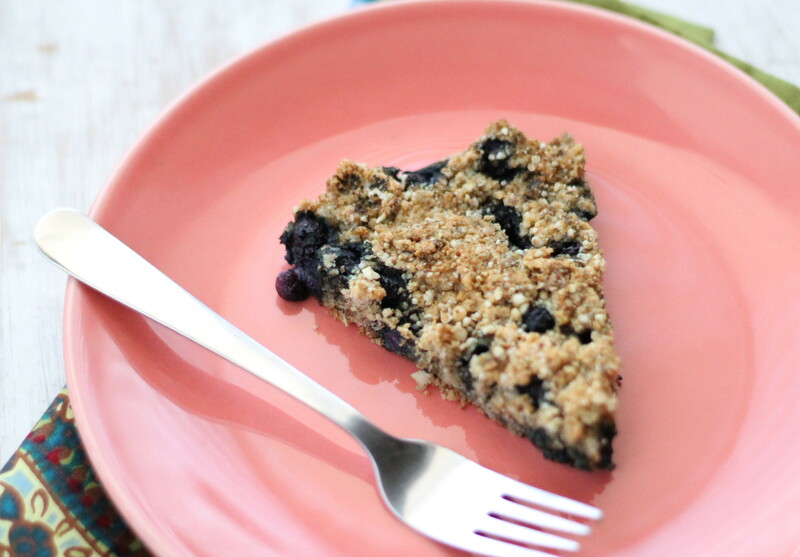 Crumble and let cool. Serving size about 1/4 cup. 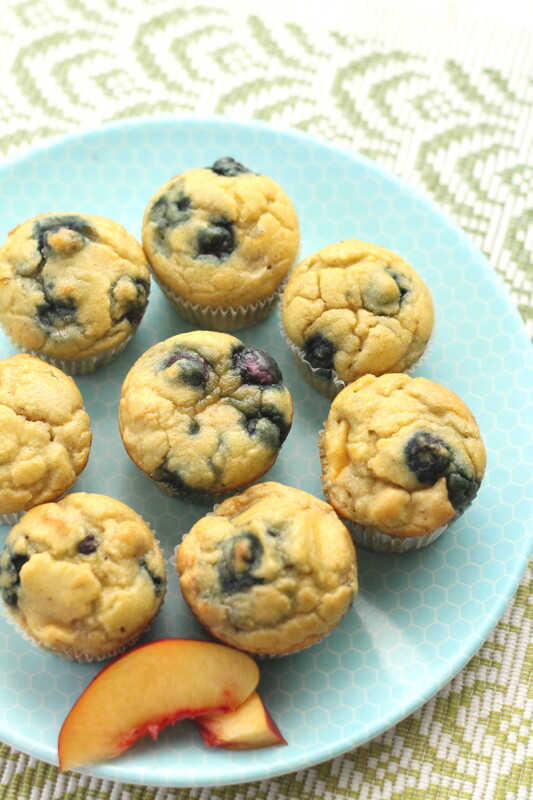 Great with unsweetened vanilla almond milk and fresh or frozen berries! VARIATIONS: Add unsweetened shredded coconut, dark chocolate, raisins, other nuts or seeds. None of us are just born healthy. I tell nutrition classes that I didn’t just wake up one morning and surprisingly find myself in good health. It takes work and effort, we all have to change, just some of us more than others, but the good news is it’s worth it. And I’m here to tell you Monday isn’t ever easier, do what you can, where you are, with what you have. Acknowledge it will take some work, but keep it simple. Pick one thing to work on and practice until it becomes a part of your life. We don’t just drift into healthy habits, we have to train and retrain, mind, body and spirit. We have to choose to stop settling for mediocre, doing the same things the same way, but expecting a different outcome. Keep traveling that path to your healthy my friends and see yourself as able to change. We’ll never be perfect, but we can keep growing. Okay, so my life lesson for today is complete and we can continue with the muffins. Currently, I don’t feel like I’m missing out at all in the pastry department (except I still think Panera Bread needs some GF baked good options, but I’ll save that for another day). 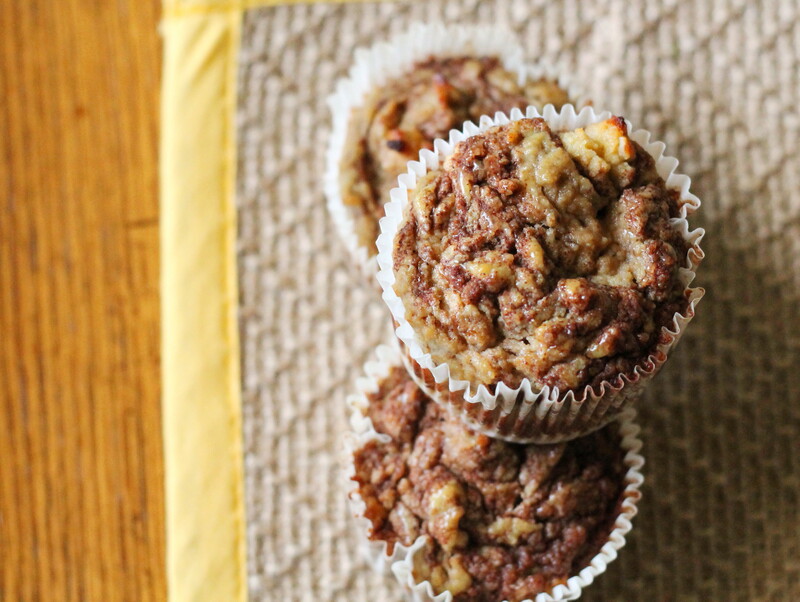 These muffins are 70 calories each, 9g carbs, refined sugar and grain free! And they taste delicious. Easily whip up a quick batch, stick some in the fridge and the other half in the freezer. Just pop in the microwave a few seconds to warm up, snack or dessert instantly. Kids will love them too. And, did I mention they taste like a little banana cinnamon bun? 1. Preheat oven to 350 degrees F. Line a 12-cup regular muffin tin with paper liners, spray inside of each liner with cooking spray (I use coconut oil spray from Trader Joes). 2. In a large bowl whisk the first 3 ingredients until smooth. Add dry ingredients and stir just until combined. 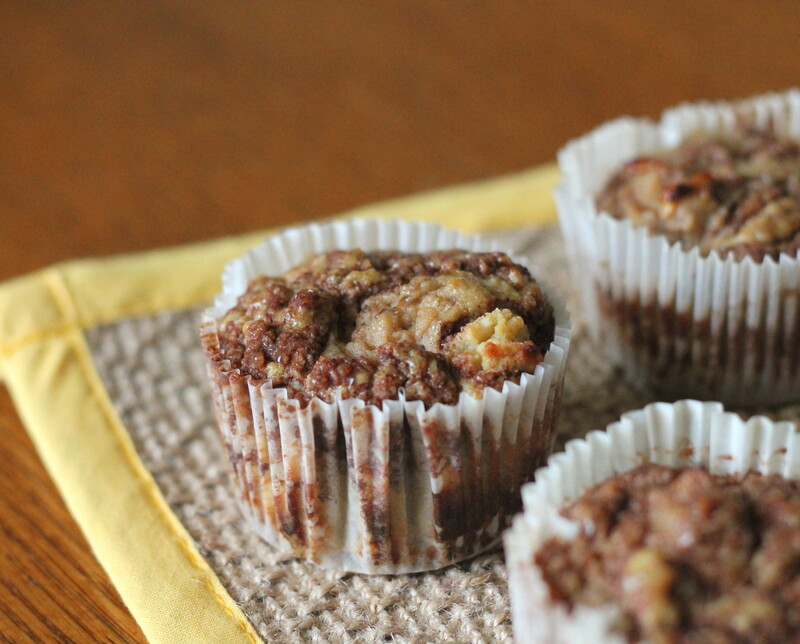 Scoop batter into prepared muffin cups until 3/4 full. 3. Combine topping ingredients (remaining 4) in a small microwaveable bowl. Heat for 20-30 seconds or until just melted. Stir until smooth and spoon about 1-2 t. mixture over batter in each muffin cup. Swirl cinnamon into batter with a toothpick. Bake for 20-25 minutes or until set. VARIATIONS: Add dark chocolate chips, cocoa powder or blueberries to the batter. 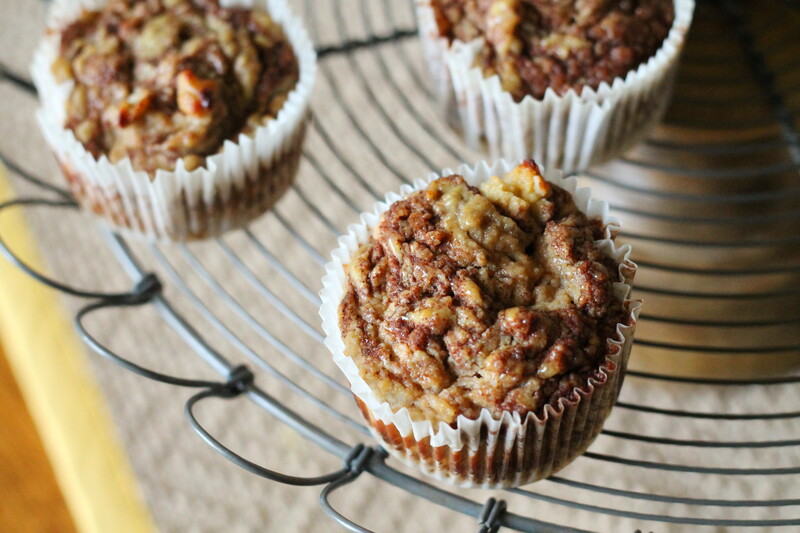 Adapted from Multiply Delicious blog, http://www.multiplydelicious.com/thefood/2012/02/banana-cinnamon-bun-muffins. Well, I’ve been vacating from life and blog for some time now. I love getting out of routine and then always welcome returning to it. I thought scones would be a good way to enter back into life (also the day, bathtub or any endeavor for that matter). 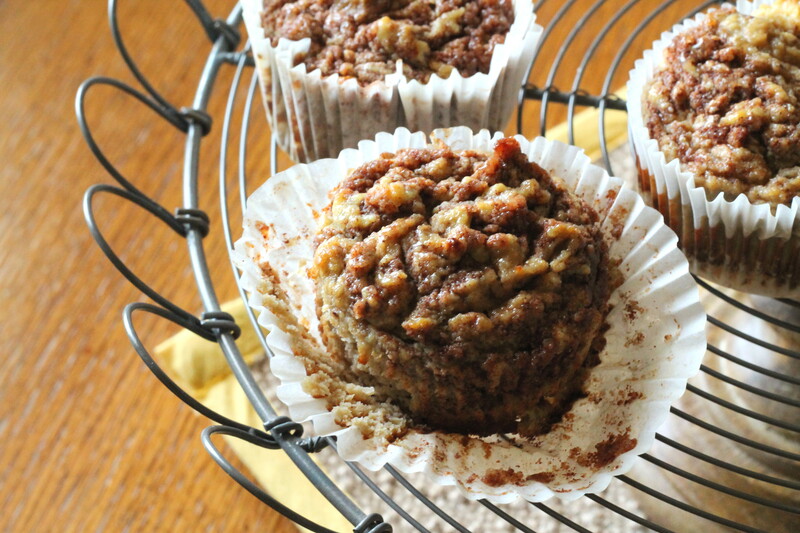 A great treat that freezes well, just reheat and brew a cup of hot coffee or steamy tea. Easily adapt flavors by adding fresh citrus zest or chocolate. Serve for brunch, breakfast with eggs or a mid-afternoon snack. 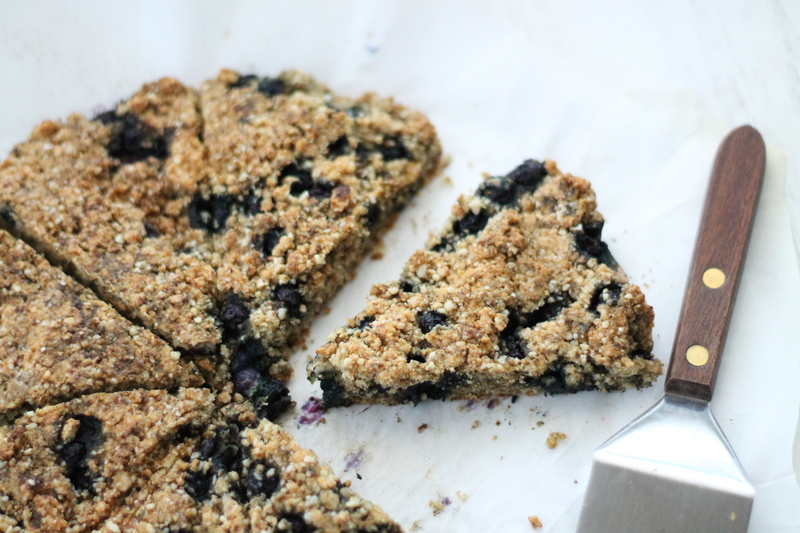 Almond flour is one of my favorite grain-free flours to bake with. I recommend Honeyville brand, or one in the bulk bins at the grocery store. Also, low carb, gluten & dairy free (but no one will ever suspect it). 1. Preheat oven to 350 degrees F. Cover a 9-inch round baking pan with parchment paper. 2. In a large bowl, mix egg, maple syrup or honey, Stevia (or extra syrup), extracts and coconut oil. 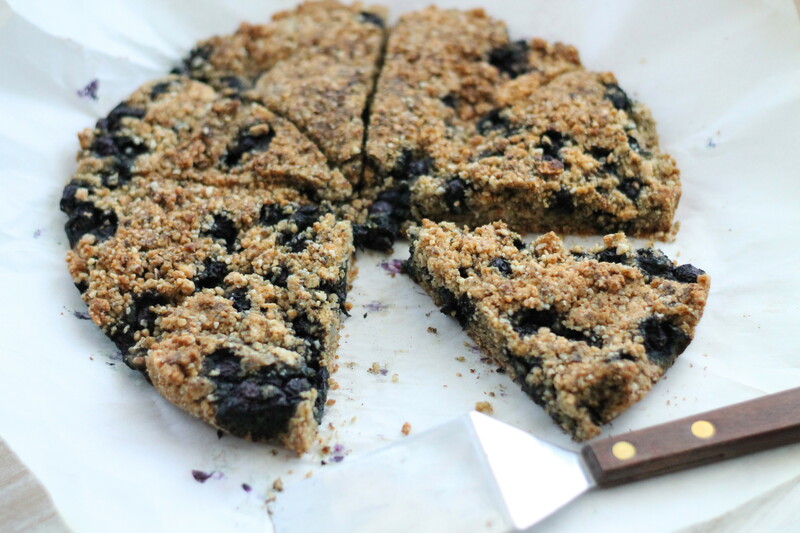 Add dry ingredients and stir until moistened, fold in blueberries. Press dough evenly into prepared pan and cut into 8 wedges. Bake for 15-20 minutes or until golden brown. 3. Let cool 5 minutes, then lift scones out of pan with parchment paper and finish cooling on a rack. Cut if needed along scored edges and serve or freeze. VARIATIONS: Add 1-2 T. fresh lemon or orange zest and chocolate chips or other berries for blueberries.